I don’t even know where to start other than READ IT! Seriously one click this book today. 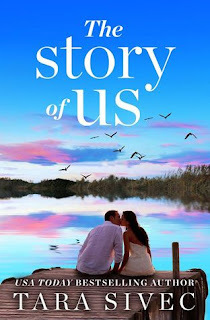 The Story of Us has all the feels. This is a second chance at love story about a solider who went off to war and the love he left behind and his fight to reclaim that life. I’ll be honest with you this book is slow but it’s well worth it. IMO there is a reason for the slowness. The hero has just returned from being a POW for five years. I have no experience as to how that feels or what happens after you are rescued but I imagine it’s a slow process to acclimate back to civilization and freedom. That is why I feel the speed of this book is justified. There are twists and turns that I didn’t see coming that had my breaking for Eli and Shelby. This is a beautifully written emotional read that is filled with the kind of love that women only dream of having. As I stated above, it takes some time to get there, and there are many obstacles standing in the couple’s way, but when they finally get what they needed from one another - it's pure fireworks!